Each change of season is a chance for a fresh start. I don't know about you guys, but when it comes to transitioning into a different weather, I'd always find myself on the hunt to make my little flat a little more relatable for the time-being. It could be a couple of new cushions, art prints or like in today's case, a lovely scent diffuser. Now as anyone following me on social media would know, I'm huge fan of essential oils. And Neom Organics is one of those brands I've been mentioning a lot since discovering them in London. I received their new Wellbeing Pod Diffuser a few weeks back, and it's been part of my win-down routine since. All that said, I thought it would be nice to dedicate a post to my new love and show you how I use it & style it. Keep scrolling! What I love about this diffuser is that it's such a beautiful home decor piece itself. My bedroom has a pretty warm colour palette (being wood, dusty pink and copper), and the white ceramic design fits in perfectly. If I'm honest, most diffuser I've come across does the work, yet doesn't look that good. And I tend to put them away using it. However, this is not the case here. 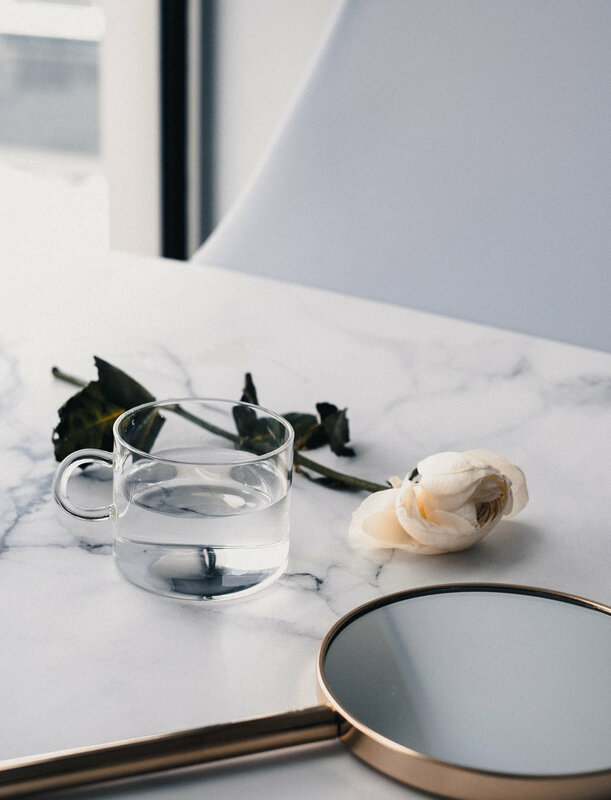 The wellbeing pod has been a staple on my dressing table and bedside for a while now, and I intend to keep it that way. Along with the Wellbeing Pod, I also received the 'Wellbeing Essential Oil Blend collection'. It comes with four different essential oils ⏤ sleep, make you happy, boost your energy & destress. 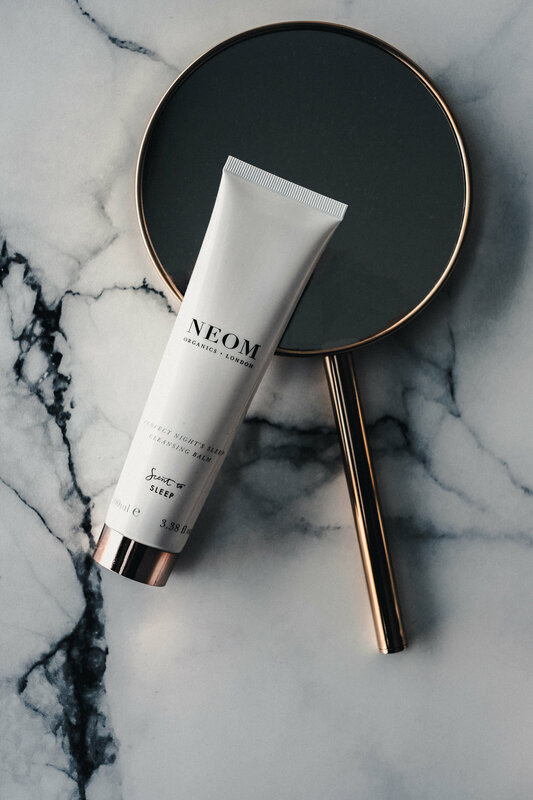 Sleep is my favourite scent from NEOM (I've shared my love about their face wash too). I love how calming it is, and for someone who has been struggling with sleeping problems for so long, there is really nothing more I can ask for. I still spend some time tossing and turning around before actually falling asleep, but I don't wake up in between anymore. 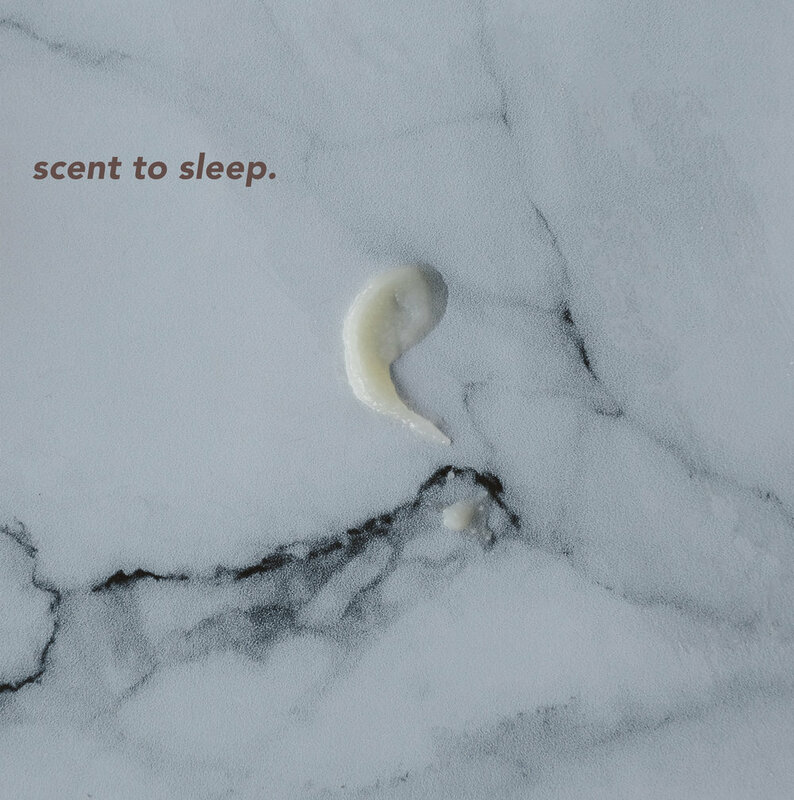 It is made of 19 different essential oils, along with lavender, which is known for its soothing effect, literally the perfect 'sleep' scent. I use 'Make you happy' as a morning get-ready scent. I normally put it in after waking up, and after I finished my morning shower, the room will smell just right. Its uplifting and yet subtle at the same time. Gives me the perfect mood lift while I put some makeup on. My 'writer's block' scent. To all you bloggers, writers, content creators or even students writing essays. We've all been there, when there's a deadline in a few days, and yet nothing is sparking up in your mind. Or is it just me? Anyways, whenever I'm in that situation, I bring out the 'De-Stress', it changes my mind set to something less anxious, and it slows my brain down so I have enough time to find the right idea rather than the worrying too much about missing the deadlines. At this point, we're all probably on auto-pilot mode when we wash our faces. Am I right? But recently, I realised I've been washing my face the wrong way. Well, I wouldn't say it's all wrong, but it's just not the best way for my skin type. When it comes to skincare, I consider myself quite a nerd. Honestly, if I save up the money I spend on skincare & makeup, I would probably be able to buy my first vintage Leica already. All that said, one of the best things about this job is getting to know all the beauty & skincare tips. Since part of my job is to test, try and tell you guys about my discoveries. So without further ado, here are the face-washing tips (for sensitive & dry skin) I've learned. Keep scrolling! Hot water is no good for your skin. It strips your natural barrier and makes your skin even drier, itchy and flaky over time. Imagine having to deal with dry patches every day that can't be good. If you do feel like having that extra warmth, I recommend weekly face steam, not only it clears the pores but also softens the surface. Two bonus point! There are so many cleansing products out there. From your usual cleansing oil, cream, balm to gel. Like I mentioned before, my skin is pretty sensitive. And most cleaning products tend to give me redness afterwards. Which is why I'm always on the hunt for something that's both effective & gentle enough. If you're a long-time follower of the blog, you would know products with natural ingredients are my favourites. And Neom Organics, being the lead of this category, is slowly expanding their skincare line. From the previous face essential oil to the current cleansing balm, both have quickly become my current go-to. I must say, they sure know how to take care of their customers with sensitive, dry skin. First things first, it smells good. Well duh, it comes with English lavender & Chamomile, how can it not. What I really love about this cleansing balm is how it never leaves your skin feeling tight & dry (I used to thought this is the sign of you've cleaned it correctly when it means that the product is too strong for you, and all the water has been stripped off). It gets rid of your daily grime, and yet still protects your barrier. Another fantastic thing about this product is that these ingredients & natural scent are designed to help you relax. So instead of feeling extra awake after washing your face, it preps your mind for the perfect sleep. To me, this is indeed the most luxury part of this cleansing balm, since I'm such a light sleeper. A lot of people rub their skin too harshly; it's an illusion of really getting the dirt off. But the truth is, this kind of pressure causes irritation & dryness - which all of us wants to avoid. All that said, massage your face gently in circular motion would do the work. With the rice powder in the Perfect Night Sleep Cleansing balm, you can also achieve gentle exfoliate by doing so. I was once told to ditch towels entirely because it irritates your skin. But I guess companies these day are aware how expanded the skincare market has gone, so loads of soft & gentle washcloth have been created (I'm sure you've all heard of the amazing muslin cloths). The Neom Cleansing balm comes with a lovely cloth. One side of is slightly textured, made for gentle exfoliation; and the other soft is super soft for extra sensitive skin (aka someone like me). p.s I recommend using fresh washcloths every day. And try not to hang wet towels in the bathroom, because it creates bacteria (I don't even store them in the bathroom). I hope you love reading these tips. Let me know some of your skincare secrets below, I'd love to know!